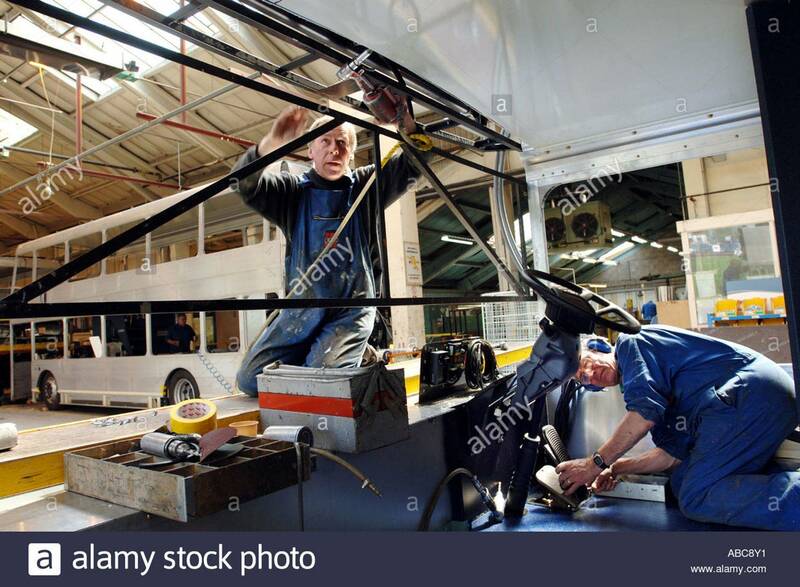 Alexander Dennis Ltd (ADL) is Britain’s biggest bus manufacturer, producing the UK’s market leading range of single and double deck bus chassis and bodies. Comprising of Alexander Dennis and Plaxtons, ADL produce a variety of innovative and fuel efficient vehicles for the bus and coach industry. BYD Europe is the marketing and distribution arm of BYD Co. Ltd based in Shenzhen, China. BYD is the fastest-growing Chinese auto company and a global pioneer in the field of new energy vehicles including Dual Mode electric models and pure electric models which includes the zero emissions all-electric bus. EvoBus (UK) is the largest European subsidiary of Daimler which incorporates Mercedes-Benz, Setra, OMNIplus and BusStore. EvoBus (UK) handles the sales, marketing, and all after sales support of Mercedes-Benz and Setra buses and coaches in the UK and Ireland. EVM manufacture bespoke Mercedes-Benz Sprinter minibus and minicoach from 8 to 22 seats in low and high floor variants and accessible options. With full European Whole vehicle type approval and up to 5 years chassis warranty, our mini-coaches lead the field in passenger transport. Manufacturer of trucks, busses and Neoplan coaches for the UK market. Optare has over a century of expertise in using the latest technologies in bus design and manufacturing to deliver the vehicles of today and tomorrow. Optare’s award-winning range of buses feature an integral design and efficient diesel engines or industry-leading electric drivelines utilising the latest low carbon technology. Scania (Great Britain) is part of a global company that manufactures trucks, buses, coaches and engines – sell their products and services via 90 dedicated UK dealerships. Scania’s vision is to drive the shift towards a sustainable transport system, creating a world of mobility that is better for business, society and the environment. Van Hool manufactures approximately 1,400 buses and coaches, and as many as 4,000 commercial vehicles annually. With a workforce of over 4,000, Van Hool is a major bus manufacturer in Europe, offering a complete range of buses for the International public transport markets. The Volvo Group is one of the world’s leading manufacturers of trucks, buses, construction equipment and marine and industrial engines.Brand portfolio consists of Volvo, Volvo Penta, UD, Terex Trucks, Renault Trucks, Prevost, Nova bus and Mack. We partner in alliances and joint ventures with the Sunwin, SDLG, Eicher and Dongfeng. In addition to vehicles and machines, the Volvo Group’s offering includes various types of financing solutions, insurance, rental services, spare parts, preventive maintenance, service agreements, assistance services and IT services. One of Europe’s leading design and manufacturing businesses, Wrightbus is “leading the charge” with their comprehensive range of public transport vehicles, which are available with range of driveline options including Hybrid-electric, full electric, Micro hybrid, hydrogen fuel cell and cleanest diesel available.